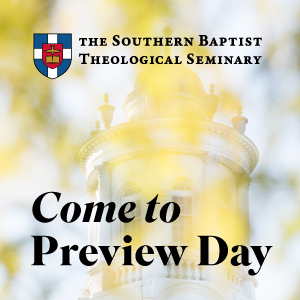 We continue our series of SBC presidential candidate interviews with David Crosby and discuss more seminary trustee meeting recaps. A double major in religion and journalism, David Crosby is a graduate of Baylor University. While working on his master of divinity at New Orleans Baptist Theological Seminary, he served as a general assignments reporter for the city desk at Times-Picayune in one of the roughest cities in the nation at the time. That experience early in his career opened his eyes to suffering like most believers have never witnessed on a personal level. Following his MDiv, he earned a PhD at Baylor University in ethics and church-state studies. While he is currently the senior pastor of First Baptist New Orleans, where he has served since 1996, he is very passionate about having an impact on the New Orleans community and is involved in community affairs. He he served on a clergy advisory group for New Orleans’ police chief, and has served on the Mayor’s Homeless Task force. In addition, he is a guest editorialist and serves on the round table of the Times-Picayune and Nola.com, a group of regional leaders who give the publisher and editorial team insight from a community perspective. David is the founder and president of the Baptist Crossroads Project that has built 91 homes in the Upper Ninth Ward of New Orleans in a partnership with Habitat for Humanity. CrossroadsNola, its new name, is now turning its focus to addressing the needs of foster children in the region. He is also a member of the board of New Orleans Baptist Ministries which operates a shelter for women and children, Baptist Friendship House, and is building a medical clinic in the Lower Ninth Ward, an underserved area. He has received many awards and recognitions for his efforts, including: Honorable Mention, New Orleanian of the Year, Gambit Weekly, 2006; Role Model Award for 2005, Young Leadership Council of New Orleans; Home Depot Foundation, NeighborWoods Award, 2006, for building healthy and sustainable communities (Baptist Crossroads); Board of Directors Philanthropy Award, 2007; AFP of Greater New Orleans (Baptist Crossroads); Selection Committee, Times-Picayune Loving Cup (civic award), 2007, 2012. One of 13 children, he grew up singing in a gospel quartet with his brothers. Married to his high school sweetheart, Janet Rose Crosby, they have 3 children and 8 grandchildren. During the 20 years Crosby has pastored First Baptist Church in New Orleans, the congregation has given between 7 and 15 percent of its undesignated receipts through the Cooperative Program despite a major relocation effort and $3.5 million of damages sustained from Katrina. During the fiscal year that began a month following Katrina, First Baptist gave 10.4 percent through CP, according to the SBC’s Annual Church Profile. Over the past five years, the congregation has averaged 9.5 percent giving through CP, Southern Baptists’ unified program of supporting North American and global missions and ministries. 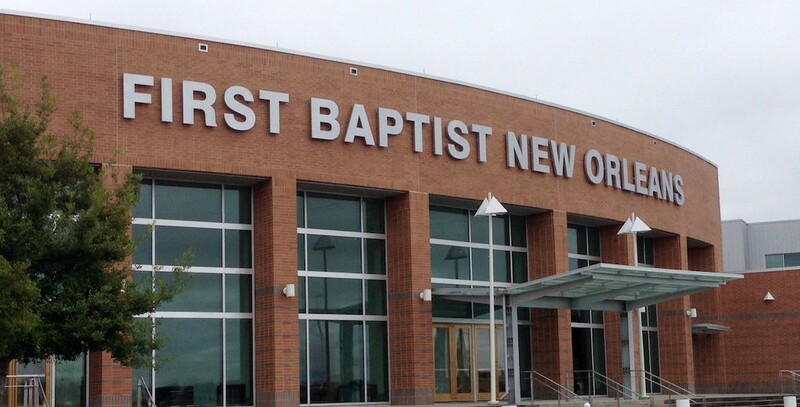 Currently, First Baptist forwards 7 percent of undesignated receipts through CP; 1 percent to New Orleans Baptist Theological Seminary; 1 percent to the New Orleans Baptist Association; .5 percent to Baptist Friendship House in New Orleans (a joint ministry of the North American Mission Board and the New Orleans Baptist Association); and approximately .5 percent to a ministry to seafarers at the Port of New Orleans. A designated gift held in trust also generates funds given through CP each year. The church has averaged 658 in worship and 24 baptisms annually over the past five years, according to ACP.